ENHANCED PRICE...Pool home on the Pond w/brand new floors... located in the highly desirable West Bay Family Neighborhood. This is a spacious 4 bedroom 2 bath home with 1912 square feet of living space and a 2 car garage. There is a wonderful covered lanai overlooking the beautiful caged pool & serene pond perfect for family gatherings! Some of the features include separate living & family rooms, eat-in kitchen with breakfast nook, tiled wet areas, bathrooms, kitchen & foyer. The kitchen opens up to the huge family room. Master Suite features a garden tub, separate shower, double vanities, and walk-in closets. There are ceiling fans in every room. Appliances include: garbage disposal, range, frig, microwave, laundry room with washer/dryer and more. Professionally landscaped front and back yards with an in-ground irrigation system. Other features include skylights, plant shelves, fishing pond, no CDD, low HOA. Short walk to the neighborhood park/playground perfect to let the little ones run off some energy! 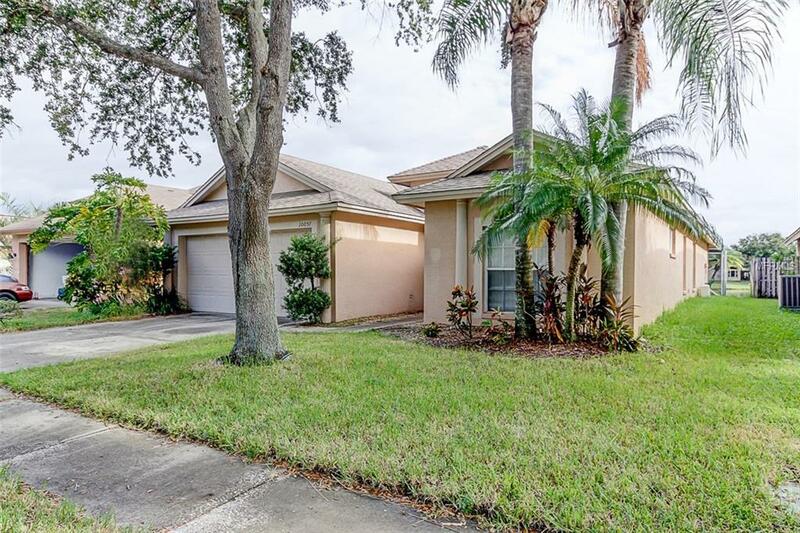 This home is located very close to shopping, restaurants, Veteran's Expressway, trails, the airport & Gulf Beaches.